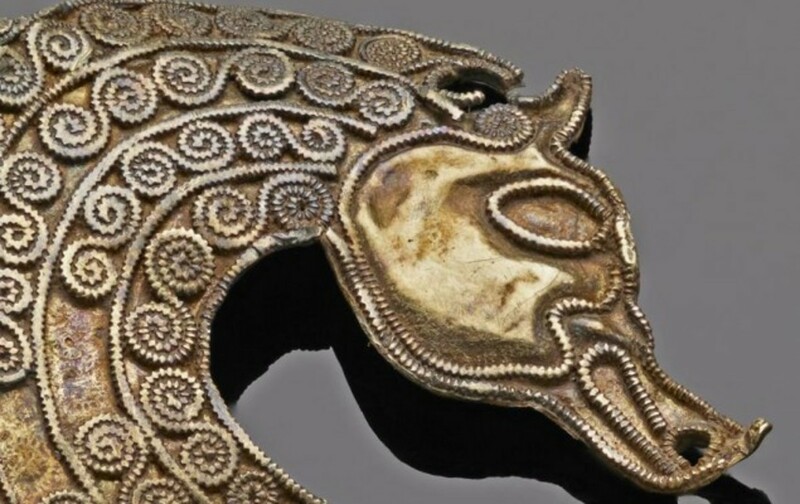 Stylized horse (or seahorse) from the Staffordshire Hoard (public domain). Magic was a regular part of daily life in pre-Christian Europe, as it was and still is in many other parts of the world. In this context, the term “magic” is distinct from its modern usage which is better described as optical illusion. From a socio-anthropological standpoint, magic is the act of attempting to manipulate the world using unseen forces. Magic was a very real part of the human experience in the indigenous European landscape. And, these were societies that believed that otherworldly entities and supernatural energies were all around them. In the modern Scientific Age, it is sometimes difficult for us to understand a belief system that viewed the world as, to borrow scholar Brian Bates’ phrase, both geographical and mystical. Just like other early societies, the peoples in Northern Europe “all had a view of nature which we would call enchanted” (Bates, 9). Our forbearers used magic in nearly all aspects of life, from medicine and healing to divination and conjuring. They believed that words had power, and that unseen entities in the spirit world heard and responded to them. An illustration from the Prose Edda, which preserved the bulk of what we know about Germanic Mythology. 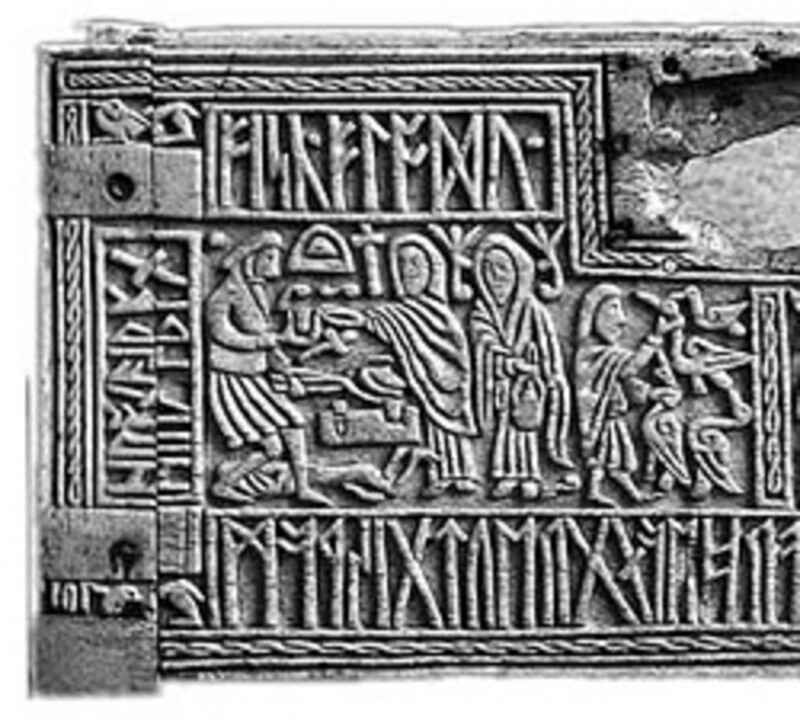 Written records of the pre-Christian customs of Northern Europe are exceedingly rare, and especially so for pagan Anglo-Saxon England. 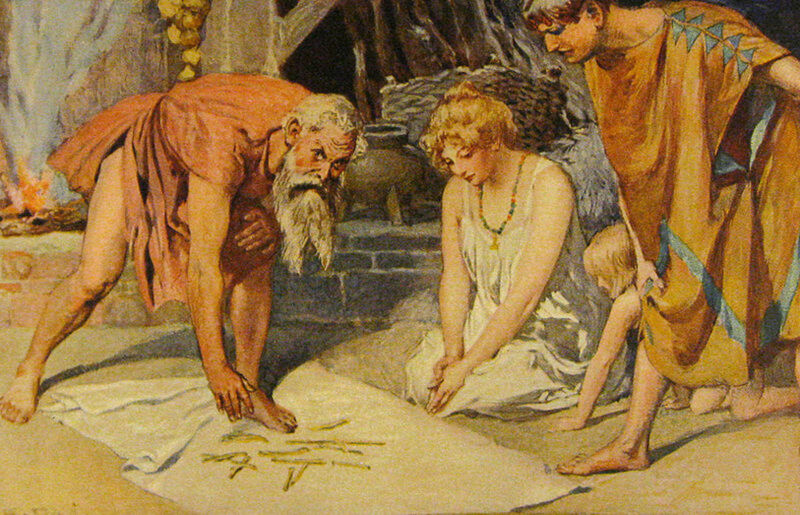 However, we can piece together a general understanding using the fragments that do survive as well as using tools such as etymology, place-name studies, and by referencing other types of evidence such as pagan elements that survive in medieval Christian writings, folklore, folk traditions, witch trial records, and so forth. When we have only a fragment of information, we can often gain some context by comparing the word or practice we are trying to understand to a neighboring people that shares close ties in terms of geography, language, culture, and mythology. 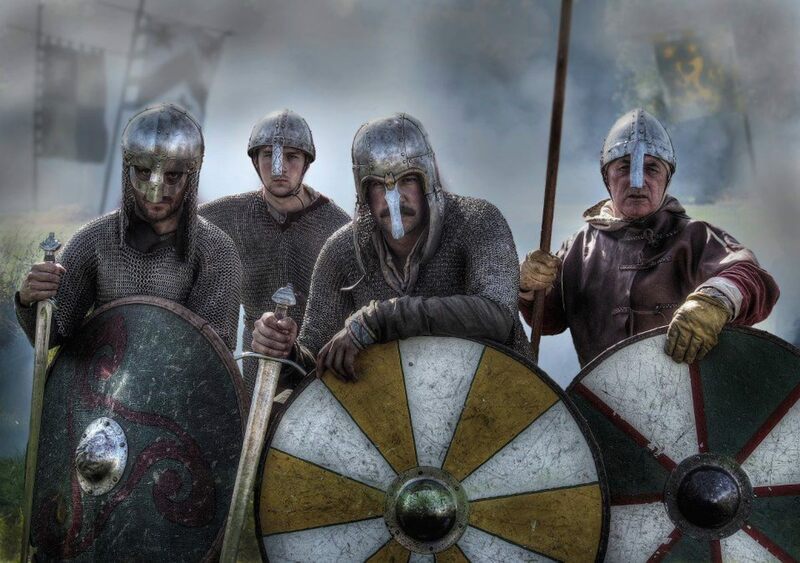 For this reason, both Anglo-Saxon and continental German pre-Christian beliefs are heavily fleshed out with Norse mythology, which survived much more intact in Iceland. Jane Crawford discusses sources for Anglo-Saxon beliefs in her article “Evidences for Witchcraft in Anglo-Saxon England,” publish in the journal Medium Aevum. She explains that we can gauge the immersive nature of Anglo-Saxon heathen belief by the prevalence of place names dedicated to Germanic pagan gods. 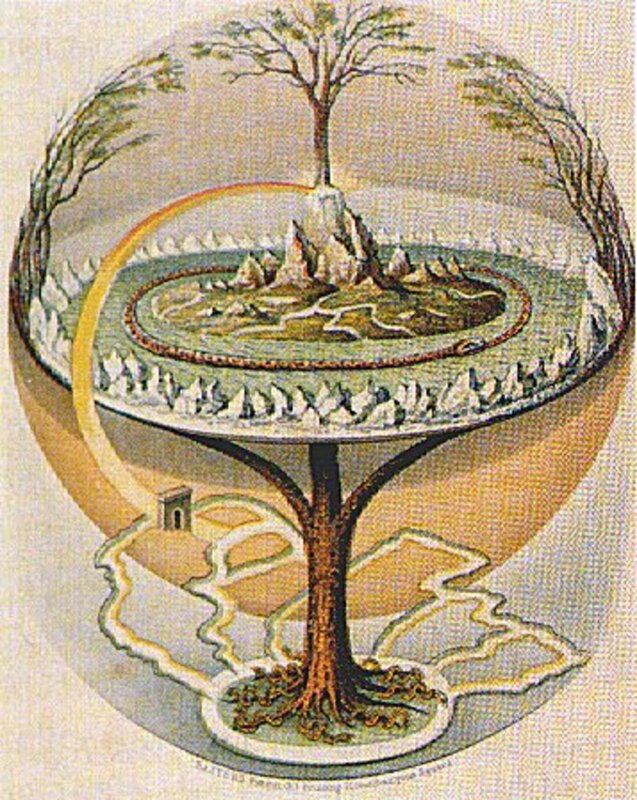 Yggdrasil, the world tree in Germanic Mythology, by Oluf Olufsen Bagge. Records from the period of the conversion of Anglo-Saxon England (roughly the 6th century) are also revealing. In addition to a rough glance at religious beliefs about deities and cosmology, these records also demonstrate that a strong belief in magic was held by the Anglo-Saxon people. When the royalty and aristocracy were being targeted by missionaries and church leaders, they were explicitly urged to “turn aside from their belief in augury, charms, and incantations” (Crawford, 100). In Germanic societies women held special status as practitioners of magic. In general, women in the broader Northern European culture held a remarkably higher position than their Mediterranean sisters, and magic was one sphere in which they dominated. In his observations of the ancient Germanic tribes, Roman historian Tacitus said “They believe that there resides in women an element of holiness and a gift of prophecy,” (as quoted in Bates, 187). 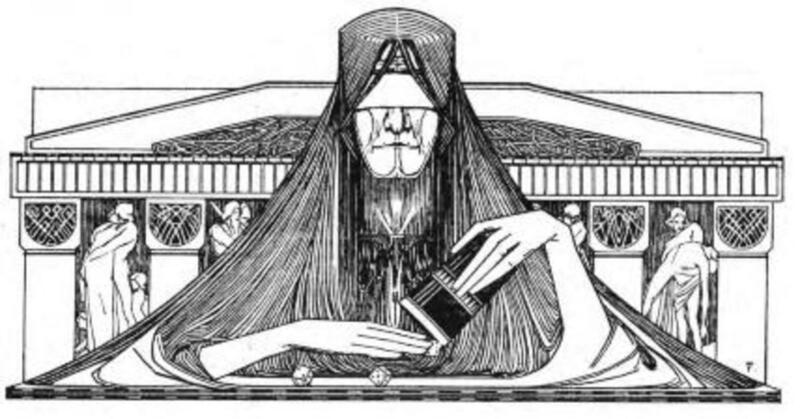 In his book “The Real Middle Earth: Magic and Mystery in the Dark Ages,” Bates goes on to describe examples of seeresses from early German, Norse, and Celtic societies. This is an example where, as described above, evidence for this practice among the Anglo-Saxons is scant, but we can infer that they held similar notions due to their cultural, linguistic, and mythological kinship to other Germanic peoples, as well as their geographic proximity to and cultural similarity with the Celts. Scholar Kathleen Herbert seems to corroborate this in her booklet “Peace-Weavers & Shield-Maidens: Women in Early English Society.” She describes another passage from Tacticus, stating “For him, the note-worthy fact about the Anglii was that they were members of an alliance of Goddess-worshippers. The allies kept a sacred truce, disarming and merry-making whenever their Lady came to visit them” (Herbert, 5). While this does not describe women’s use of magic, it does confirm that women to the Anglii, the Roman name for Germanic tribe we called the Angles who would later become one of the Germanic tribes that formed Anglo-Saxon society in England, played a prominent role in religion. The average person typically had their own limited knowledge of how to interact with the entities that inhabited the spirit realm, but the witch or wizard, like the shaman, was someone who had dedicated their life to understanding and harnessing these powers. Far from the caricature-like images of witches and wizards in fairy tales, these figures were simply the “wise people” of their societies. 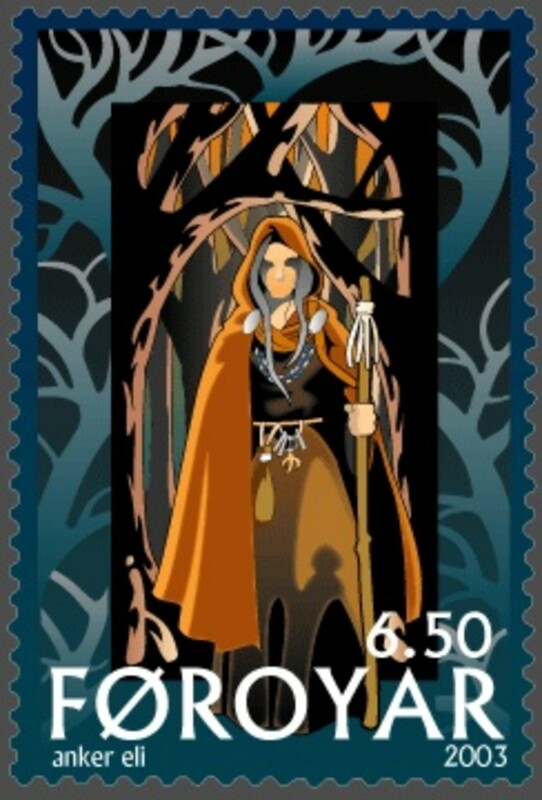 A depiction of a Völva on a Faroese stamp by Anker Eli Petersen (public domain). We know that women in Norse society played a role that was something of a cross between a witch, seeress, and shaman called a Volva, who practiced a form of magic called seidr. This was primarily a female pursuit, however it is known that a minority of men practiced seidr as well. We don’t know if the Anglo-Saxons had figure directly analogous to the Norse volva (plural volvur), however it is likely that women who performed a similar role existed. Brian Bates mentions an Anglo-Saxon word, hagtesse, was possibly affiliated with female magic practitioners. These women are thought to have learned their magical skills from the elves, were adept at herbal remedies, and were often present during childbirth (Bates, 175). Interestingly, as late as the 16th century during the witch hunting era in the Scottish Lowlands (the region with heavy Anglo-Saxon heritage) many accused witches claimed to have been given their skills by the fairies. In his book “Leechcraft: Early English Charms, Plantlore, and Healing,” Stephen Pollington explains that the “leech” in leechcraft has nothing to do with the slimy bloodsucking critters but from the Anglo-Saxon word laece, which refers to a healer of any kind (Pollington, 41). Pollington goes on to explain that in Anglo-Saxon society the figure of the laece functioned as an amalgam of physician, magician, and shaman. This role seems to be the early medieval ancestor to the cunning folk of the early modern era, such as is described by Wilby. Pollington gives words for other kinds of practitioners as well. 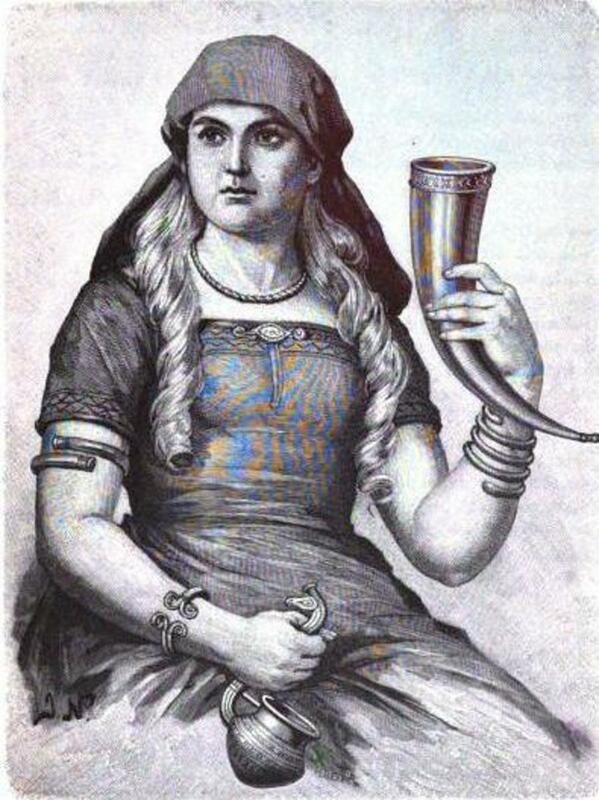 Burgrune, leodrune, and hellerune were female magicians associated with cultic practices and underworld mysteries. 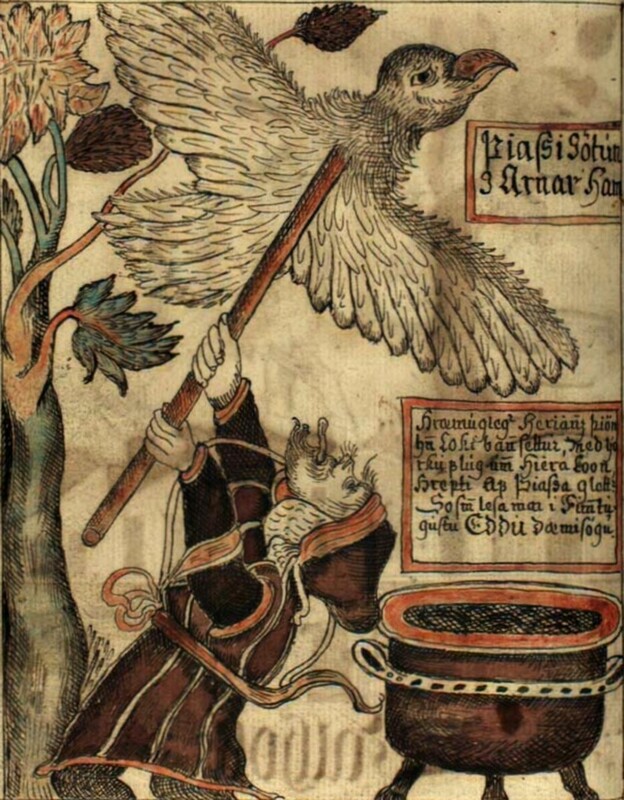 He suggests a parallel with the Norse volvur with possible shamanic connotations (Pollington, 51). We also know that the Anglo-Saxon words wicca (male) and wicce (female), both pronounced “witch-uh,” were used for practitioners of witchcraft. (Though the modern neo-pagan religion Wicca uses, and mispronounces, this word, Wicca has very little to do with the true ancient practices of our ancestors). As mentioned above, seidr is one type of magic that was traditionally practiced by women in Norse society. But, although it is likely that Anglo-Saxon women did perform some kind of similar role to the Norse volvur, also called Seidkona, we have no evidence that they used seidr magic specifically. 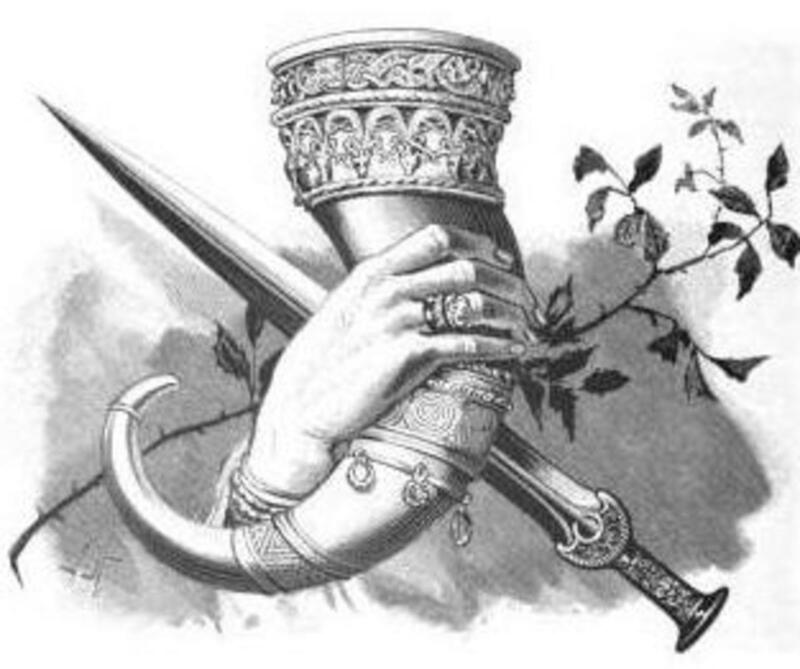 However, there is another type of magic practiced in Scandinavia that is also referenced in Anglo-Saxon sources. Crawford explains that certain words were retained in the English language which hearken back to an older magical meaning. She explains that Anglo-Saxon poems, although often recorded by Christian scribes who regarded them in a Christian context, retain earlier “magico-religious elements” (Crawford, 101). The non-specialist will already have an idea what the word “rune” means. But, they may not be aware that it was not only an alphabet, but also held magical and religious significance to the Germanic people. 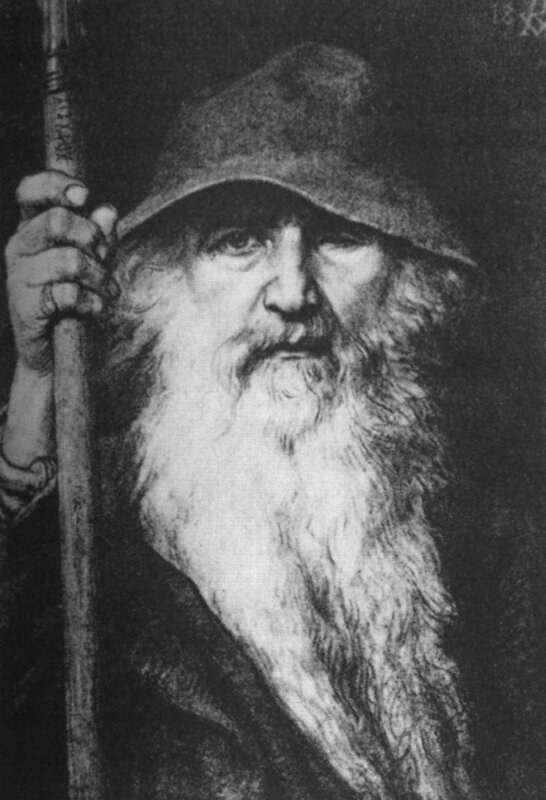 The runes were connected to the god Odin, and often used in spell casting, charms, and other magical endeavors. Galdr is an Old Norse word for a specific tradition of magic. In the Anglo-Saxon world, Crawford says that gealdor is “a word usually associated with singing for some magical purpose” (Crawford, 103). In later Christian Anglo-Saxon texts, these words are still used, but perhaps with meanings significantly altered compared to their original intent. Yet, the existence and lingering use of such words is indicative of the role that magic once played in Anglo-Saxon societal world view. The Anglo-Saxon Futhorc (runic alphabet) was descended from the previous Elder Futhark. Rather than simply a writing system, the runes were also a language used for magic and mystery. They were associated with Odin, known as Woden to the Anglo-Saxons. Runes probably gained some of their mystical properties by extension of the Germanic belief that words, in general, held great power. Germanic people once held a belief in a concept known as wyrd, which is best described as a web of destiny and fate. This is the root for both modern words word and weird. You may recall the mentioning of the “weird sisters” in Shakespeare’s “MacBeth.” They are usually described as witches, but they are called “weird” as a nod to the Norns, the Germanic equivalent of the Greek Fates, who determined the fate of mortals. However, unlike the Greek view of fate, the Germanic people believed that destiny was malleable. An individual could alter their destiny by manipulating their wyrd. One way to do this was, literally, with words. One common way to employ words in the use of magic was with charms. Pollington explains that many cures employed by Anglo-Saxon England used ritual as well as what we would consider medicine (plant or animal substances) (Pollington, 465). Plants and other material medica have within them the power to affect the patient’s body in certain ways. However, it is the function and duty of the laece to ensure that the effect on the patient is appropriate for the treatment of the disease. It is insufficient merely to release the latent power of the materials – this power must first be channeled and directed to the intended result (Pollington, 465). 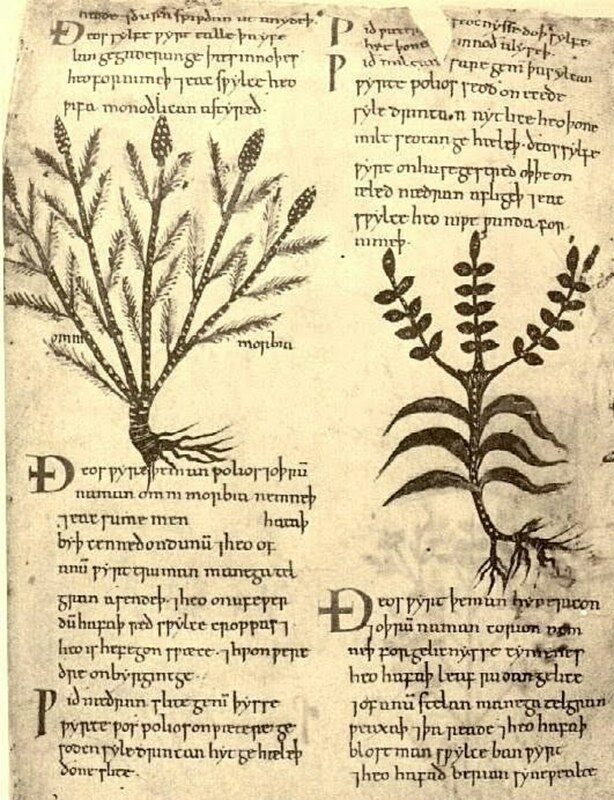 She says that charms were regularly employed by healers, are found in Middle English medical texts as well as other academic texts of the period, and that “charms evidence the healing power of words’ materiality, akin to that of herbs and stones (Bishop, 71). The most famous Anglo-Saxon charm is The Nine Herbs Charm, recorded in the Lacnunga manuscript in the 10th century. The charm is in poetic form and tells a story involving Woden while it instructs the reader how to prepare an herbal mixture for healing purposes. Although the concept of magic survived as a fantastic element in folklore often associated with witches, it is important to remember that for many world cultures magic is as much a normal part of daily life as prayer is for most Christians, Jews, and Muslims today. 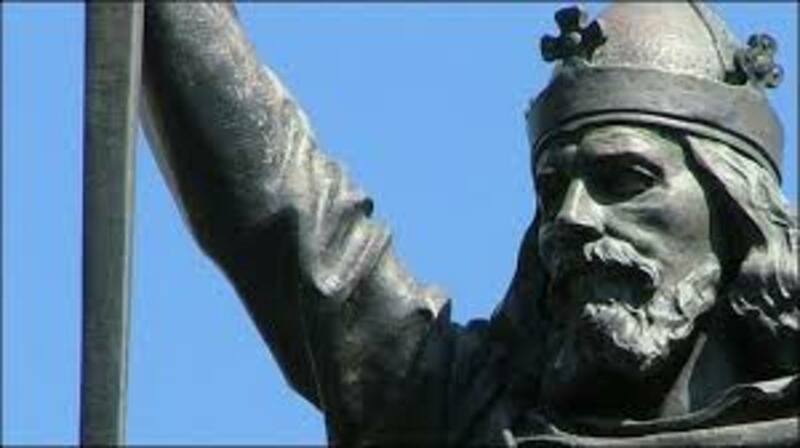 Especially for the Anglo-Saxons, magic was intertwined with religion, cosmology, medicine, childbirth, and even other aspects of life not even touched upon here such as warfare. While practitioners of magic eventually would become persecuted during the witch hunt era, and today are considered either a corny stage act or mocked as New Age loonies, they were once important and well respected members of their communities. Religious bias during the Christian era caused magical practices to be either disparaged by historians or largely ignored all together for many years. Today, not only are a great many scholars doing extensive research into this neglected area of history, but a new generation of people are reviving the spiritual practices of their ancestors. Just as we applaud and encourage indigenous peoples worldwide to reconnect with and preserve their roots, it is refreshing to see those of Anglo-Saxon heritage finally doing the same. Please follow me on Facebook to be alerted on new articles like this one. Bates, B. (2002). The Real Middle Earth. Oxford: Sidgwick& Jackson. Bishop, L. M. (2007). Words, Stones, & Herbs. Syracuse, NY: Syracuse University Press. Crawford, J. (1936). 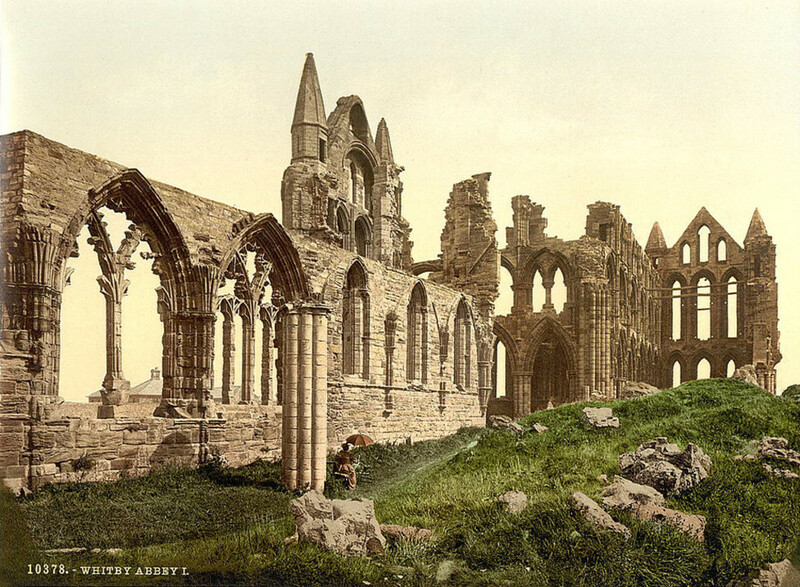 Evidences for Witchcraft in Anglo—Saxon England. Medium aevum, XXXII(2), 99-116. Herber, K. (1997). Peace-Weavers & Shield-Maidens. UK: Anglo-Saxon Books. Pollington, S. (2000). Leechcraft. UK: Anglo-Saxon Books. Wilby, E. (2005). Cunning Folk and Familiar Spirits. Eastbourne, UK: Sussex Academic Press. Saxon England: What if History? You absolutely have a mastered your niche. This was such an interesting read and very well researched, as all your heart be are. Pardon me, must've missed it. Anyway magic did enter the equation with reference to the gods, they all had powers, including the Norns. Loki used his shape-shifting mostly for bad. The use of supernatural forces entered into Norse/Angle/Saxon mythology to the same extent with different names. The story-tellers had to imbue their characters with special powers. 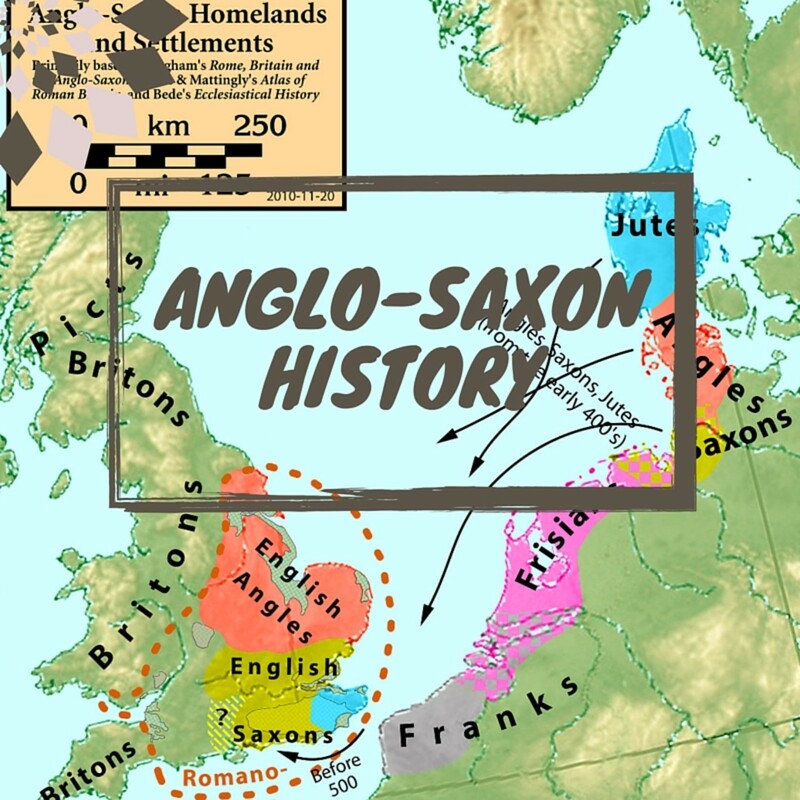 The term Anglo-Saxon was coined by historians in a bid to simplify English history for the masses. The two groups may have come at the same time, but didn't generally mix. In 'border' areas (Oxfordshire, Bedfordshire, Hertfordshire as they are now, then Mercia), there would have been trade or cultural exchange with the Saxons to the south under the rule of Wessex (now Essex, Middlesex, Berkshire). Names were standardised by the Normans for ease of rule and administration, but they spoke a different tongue. 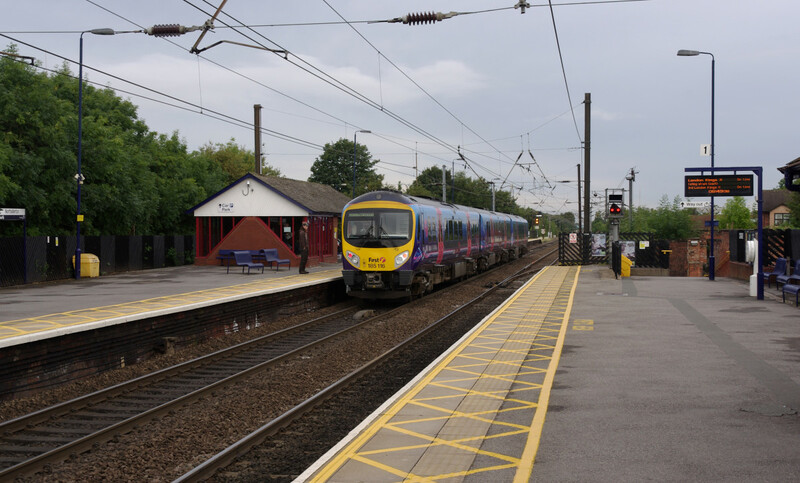 The difference was more marked the further north you went. 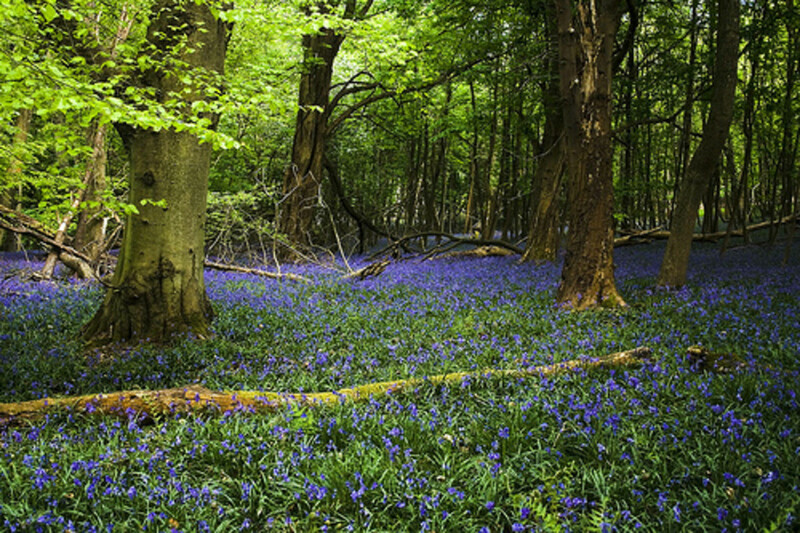 Hwicce/Hwicca was also a region in south-western Mercia near the River Severn (Worcestershire and Gloucestershire borders area), thought to be a gathering area for those with special powers. 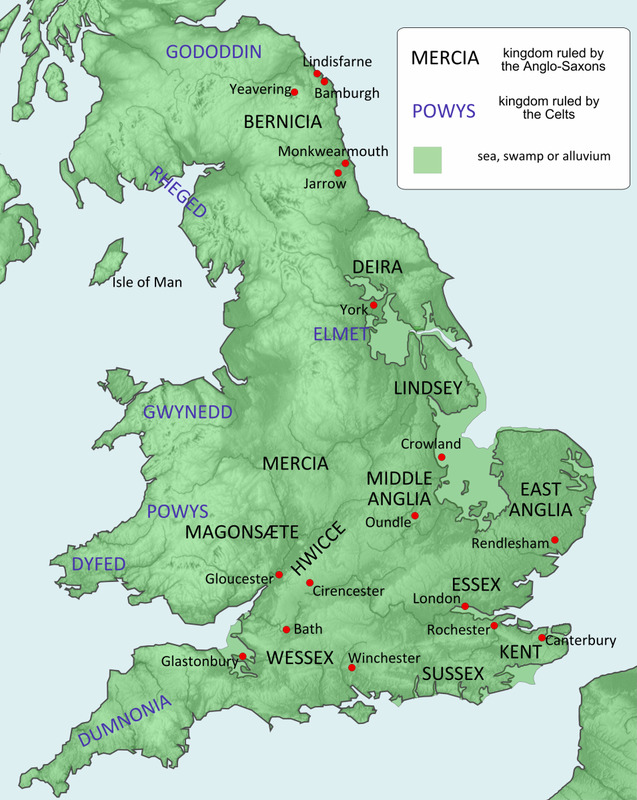 It was drawn into the kingdom of Mercia in Penda's time, 7thC, having previously been a separate Celtic kingdom. Hi Alan. Actually I did mention the Norns in the section about Wyrd. This wasn't an overview about the mythological pantheon or the 9 worlds, it was an overview of the historical use of magic. Hi Carolyn, Riveting, more and more I want to know. Great images, and well researched. Yes "I'll be back"
With all this talk about females in the higher echelons of the northern gods and goddesses, what about the Norns? Three old hags who dwelt by and guarded the well of knowledge at the roots of Yggdrasil, their names were Urd (Wyrd/Fate), Verdandi (Now) and Skuld (To Come, also What Must Be) - the gods held weekly gatherings here and Odin (or the Allfather) lost an eye seeking knowledge at the Well of Urd. In her underworld, or Niflheim/Niflhjem Hel - daughter of Loki - oversaw the dead. Very interesting! Thanks for all the references. I'll be looking up sources to obtain many of them. I'll be sharing it too, glad the Anglo-Saxons seem to be getting a bit more exposure, there is so much emphasis on Celtic elements usually. Brill! I'll be sharing this. Great article Carolyn! This was right up my alley! I really enjoyed reading this. Your research is in depth as always. I think I have some more books to add to my reading list!